Beautifully animated countdowns for everyone. 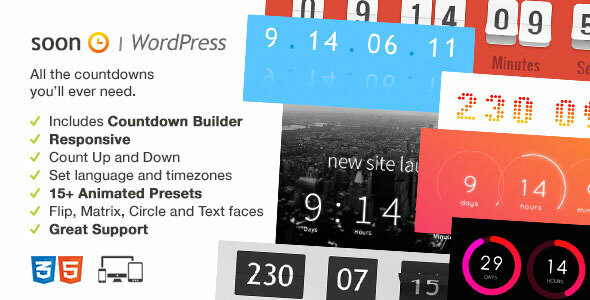 Soon allows you to create the most stunning countdowns your visitors have ever seen. Using the the embedded Visual Builder Soon has you configuring any countdown you want. Pick one of the 15 Preset Templates as a starting point or start from scratch and design your unique counter.